A unique wide accent chair to add some wow factor to your space. 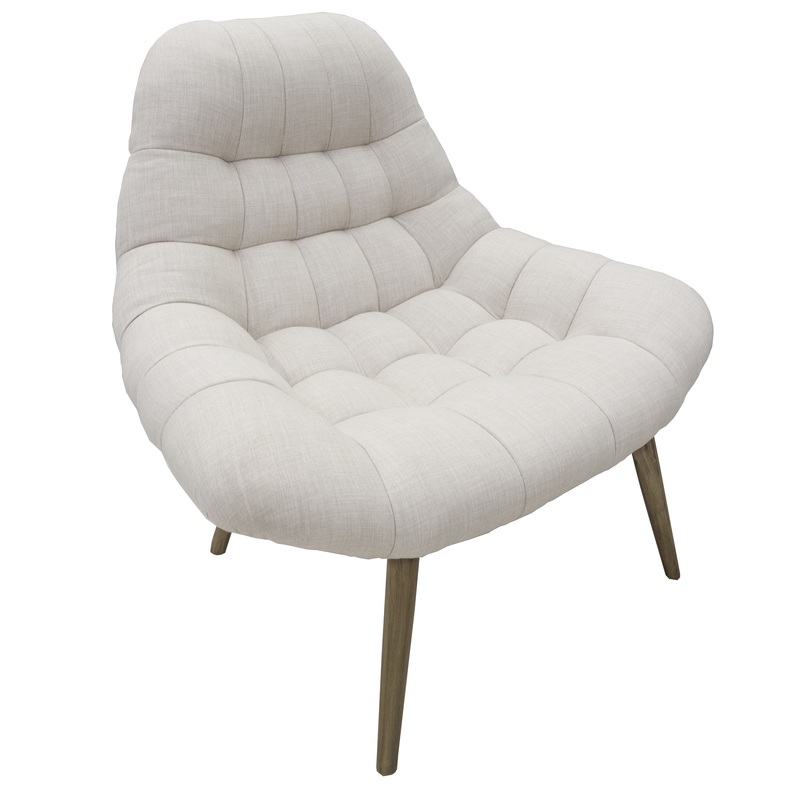 Upholstered in a natural beige tufted fabric and a walnut wood frame. A distinctive design that will get people talking about your décor. 40.5" x 31.5" x 35.75"